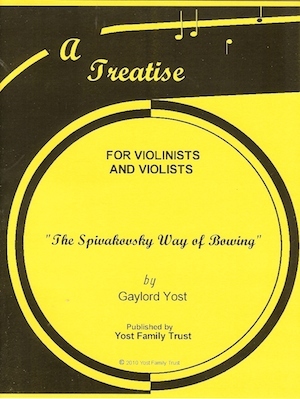 This treatise will give serious students the knowledge of the means by which complete mastery of the violin may be acquired in the shortest possible time. Highlighted is the principle of “Dynamic Freedom” or “Strength-Freedom of Movement” as the solution to acquiring the manual skill necessary for excellence in playing the instrument. Purchase directly from the Yost Family Trust for $7. An important key in maintaining and promoting the highest degree of technical mastery for virtuosi and orchestral musicians whose time for technical practice may be limited to an hour. Purchase on Amazon for $12. Purchase directly from the Yost Family Trust for $9. The author targets the important phases of left hand technique—change of position—and builds a systematic sequence of ideas or images in practicing. Every possible shift between all positions will be covered in these exercises and every thoughtful teacher should immediately recognize the value of their arrangement. 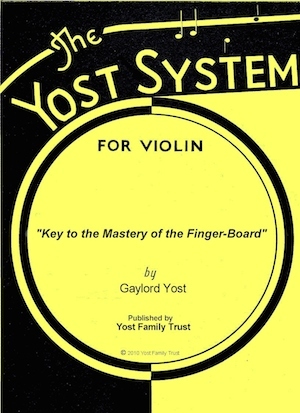 This volume is companion to “The Key to the Mastery of the Finger-Board“. Here, the same principles are followed in the solution of the vast and complex problem of right-arm technique. Bowing presents this problem because there are easily millions of rhythmical variations, accents, and inflections in using a bow. In attaining a competent technical command of bowing, there are very definite and well-defined fundamental principles which form the entire structure of the bowing mechanism. In this volume, the author discusses the “musical secret” that Paganini said he would bequeath to the world as mentioned in Schottky’s biography of the great violinist. 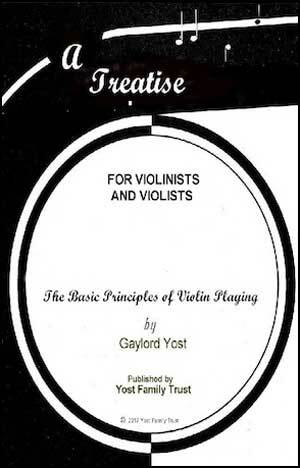 The author likens the principles set forth in this volume to the same kind of regimen that Paganini would have had to follow to attain the heights to which he rose. 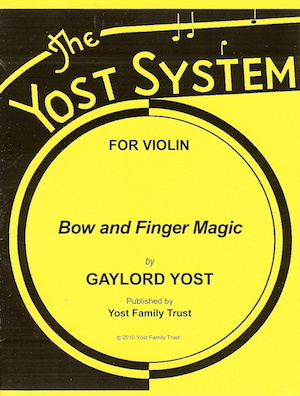 The use of the principles and practice recommended herein should develop the violinist’s ease in ascending and descending the whole range of the finger-board with facility and accuracy, commanding all positions with equal ease. This volume is for beginners in double-stopping as well as more accomplished violinists. The problem of the mastery of double-stopping is essentially one of mastering up-and-down movements within the two-octave finger-board range on each set of strings. The studies should be practiced on the G and D strings as well as other strings as needed. 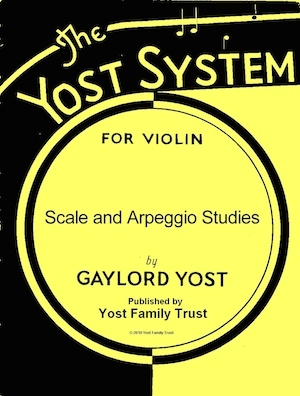 Scale practice is essential in the complete mastery of violin playing. This work brings a varied form of scales and arpeggios along with special exercises. This is a theoretical analysis and explanation of “The Spivakovsky Way of Bowing.” It covers the various postures and anatomical functions of Tossy Spivakovsky’s controversial and “different” handling of the bow and violin. Four exercises are presented to violinists. Exercise 1 is designed to develop strength and absolute independence of finger action and ease in quick adjustment of the fingers in chord playing. Exercise 2 is for the extension and retraction of finger action and for the development of expansion and flexibility of the hand and fingers. Exercise 3 is for the development of great speed and accuracy in finger action. Exercise 4 is concerned with the process of across-string adaptability. This book presents a complete exposition of two of the most important technical devices for violin—left-hand pizzacato and harmonics. An enormous benefit will be derived from the practice of both devices.